DIY your way to February 14 with these adorable Valentine’s Day crafts and recipes. It’s the loveliest day of the year! Don’t know where to start to create a special day for the ones you love? 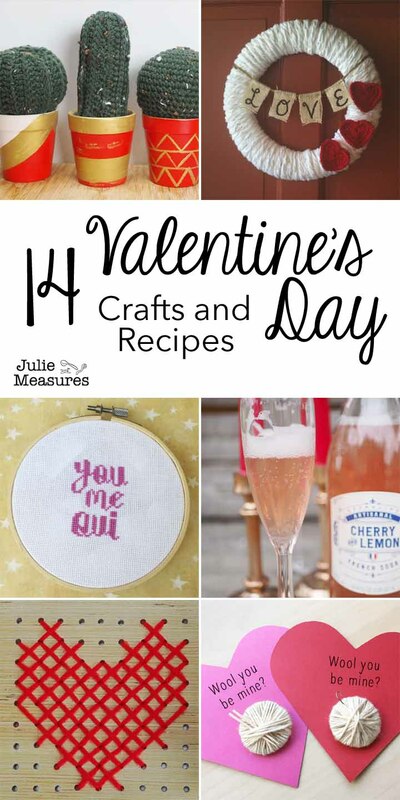 These 14 Valentine’s Day crafts and recipes offer step-by-step instructions for easy-to-create Valentine’s Day decorations, handmade gifts, cards, and more. 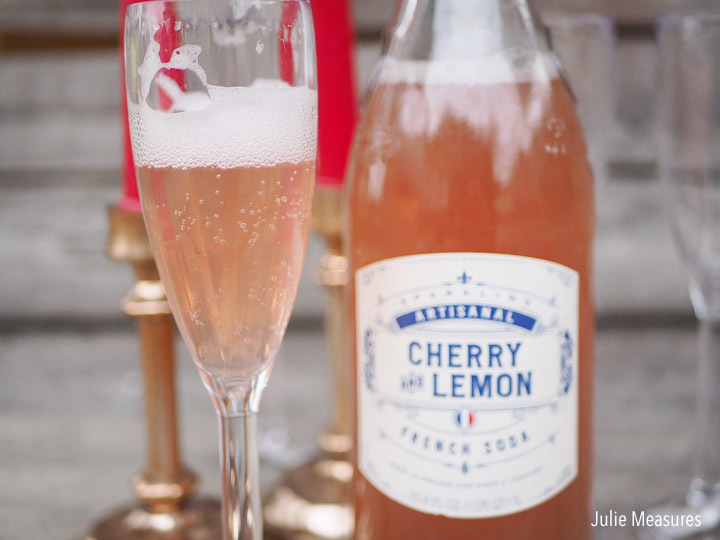 Celebrate and make memories with these fun DIY projects. Don’t forget about Galentine’s Day! Celebrate your girl-friends with a fun get together. I’ve got all the details on how to host your own Galentine’s Day party, complete with a crochet cactus gift. Click over for the pattern and all the party details. Sometimes you want to go big and bold for Valentine’s Day. 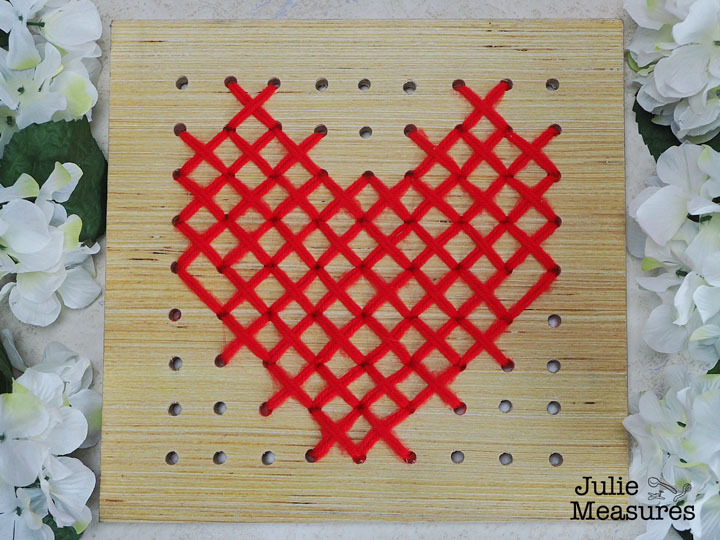 See how I turned a piece of wood and some yarn into this wood plank cross-stitch heart. Putting together Valentine’s for you or your kids to exchange? 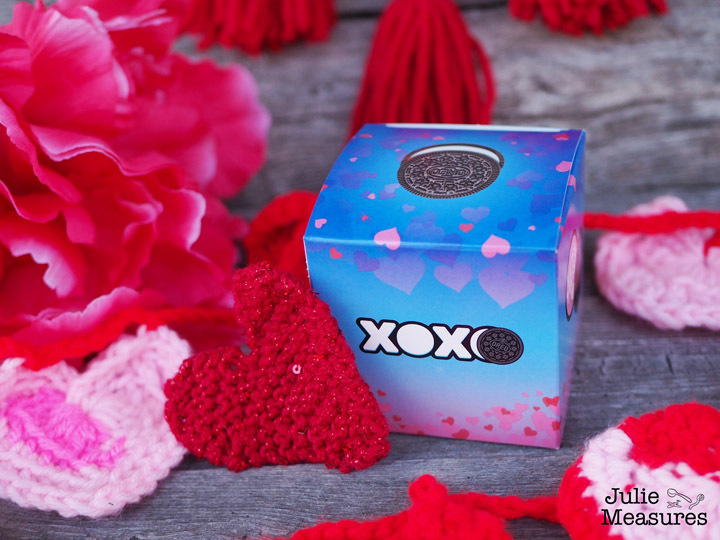 Give these sweet XOXO boxes and add in a handmade knit heart. Free pattern! Parlez-vous français? Me, only a few phrases. But I couldn’t help but say “Oui” (that’s yes) to a whimsical play on words that is perfect for Valentine’s Day! 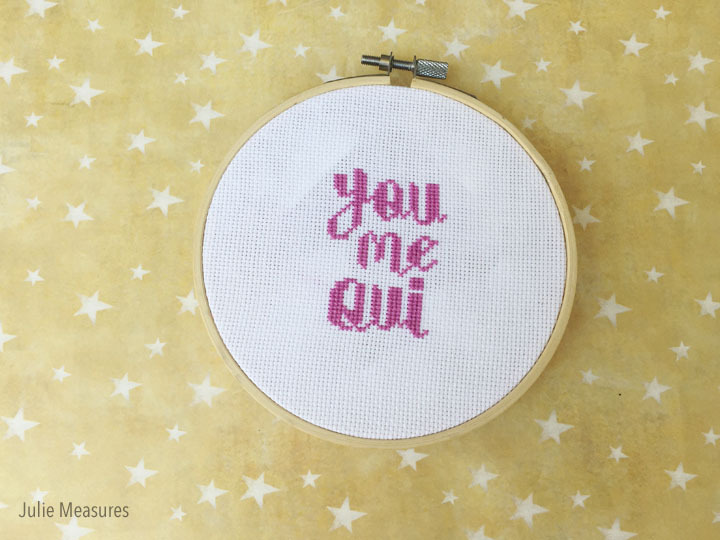 Cross stitch this FREE “You Me Oui” pattern for yourself or a gift. Tell your loved one ‘I Melt For You’ with a Fondue Dinner and Dessert. Have you tried finger knitting? It’s my favorite way to make wreaths! 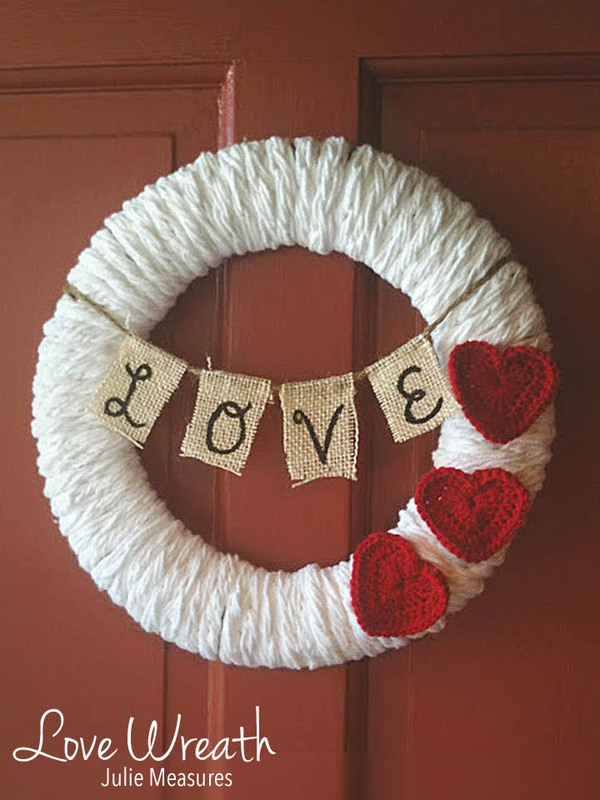 Including this LOVE wreath that I made for Valentine’s Day. 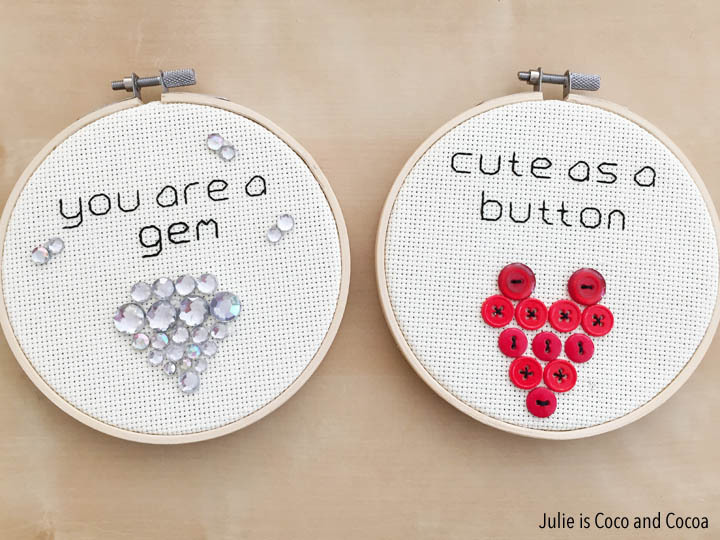 Take your favorite Valentine’s Day puns and turn them into embroidered Valentine’s. Have a yarn crafter in your life? 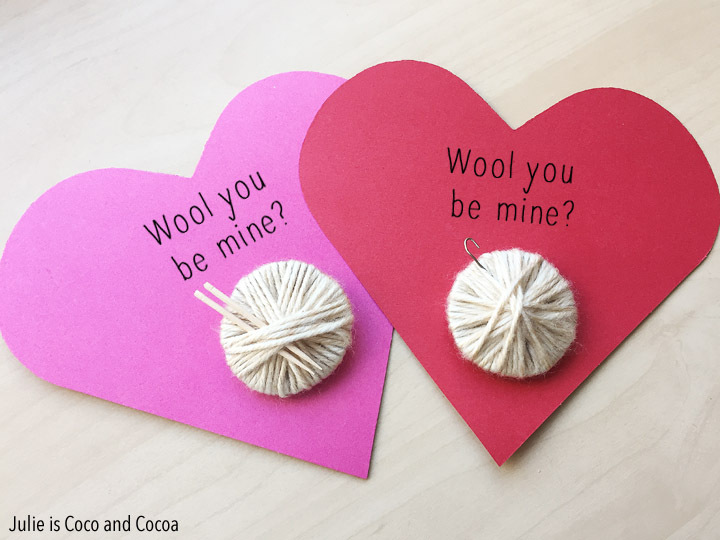 They need a ‘Wool You Be Mine’ Valentine card this year! 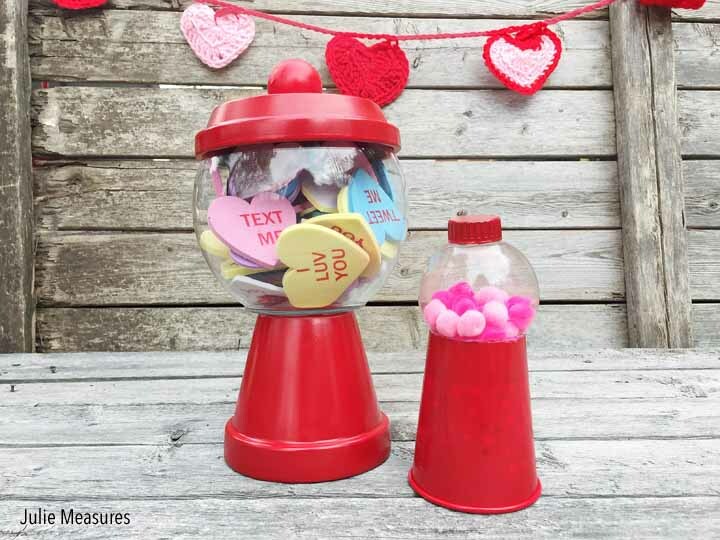 What does a gum ball machine have to do with Valentine’s Day? They make it easy to say, I ‘Chews’ You! The real way to someone’s heart might be with bacon. 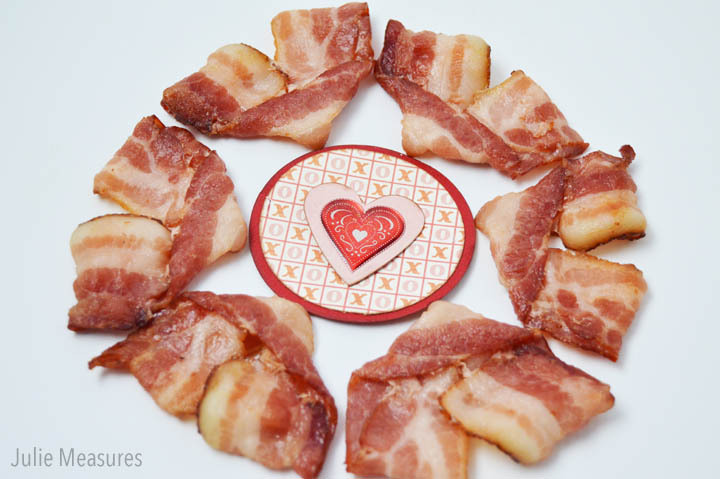 For a Valentine’s Day twist, make your bacon into hearts with this trick. 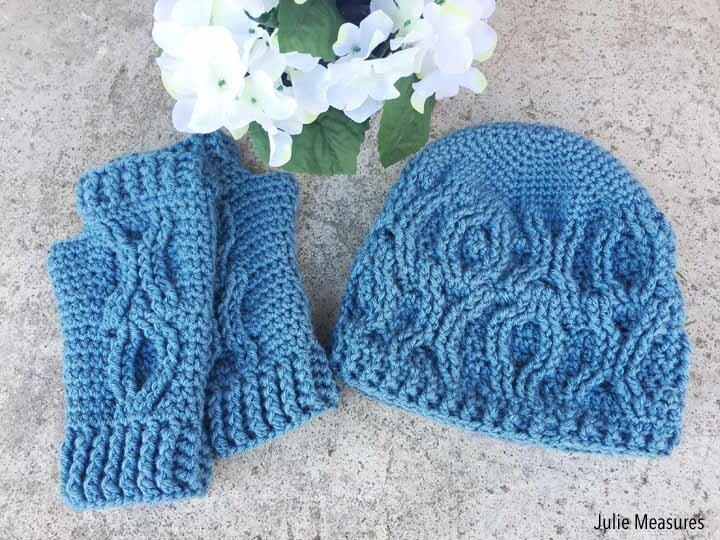 The sweetest hat and glove set, embellished with crochet cables forming X’s and O’s. I’ve made dozens of small knit and crochet hearts. 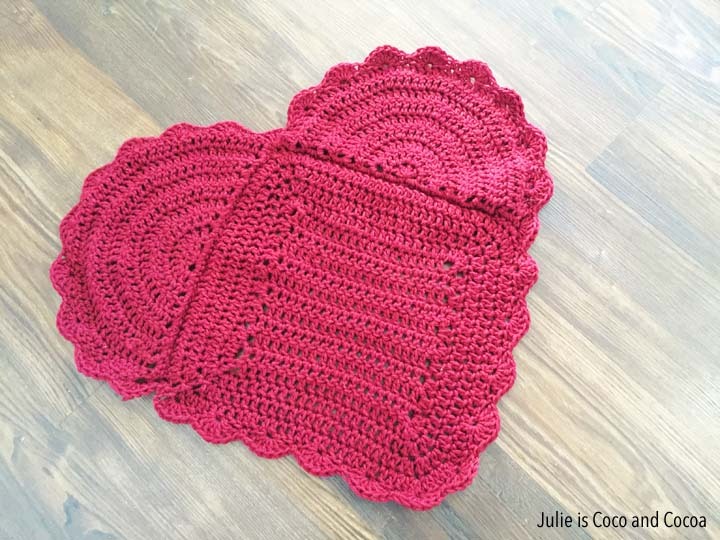 I decided to go big and make a giant crochet heart! Free pattern. I love owls. 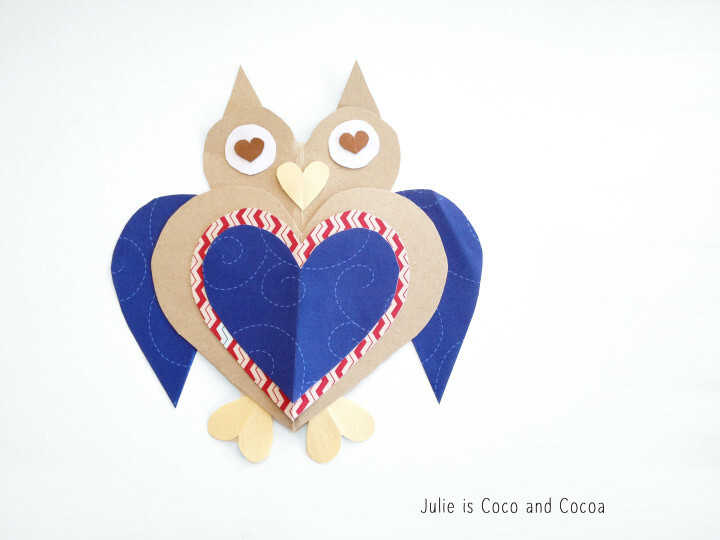 For Valentine’s Day you can make your own paper owl from cut out hearts! Click over for the DIY kids and adults will love. 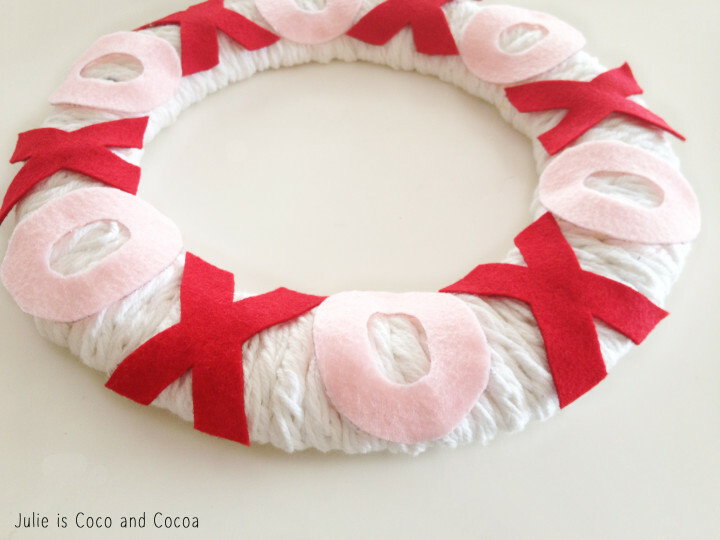 Feeling inspired to DIY your Valentine’s Day? Which project will you make first?